Product information "Beling CH70TX 70cm Frameless Hob"
Add sleekness and sophistication to any modern home with the Belling CH70TX Ceramic Hob. This 70cm wide hob has four heating zones on its ceramic hotplate, in three different sizes. The CH70TX features a clever dual-ringed adjustable heating element, that can quickly change the heat of your pan from very hot to a simmer instantly. The CH70TX can be controlled by touch at the front of the hob and features and on/off key and child lock for added safety and peace of mind. 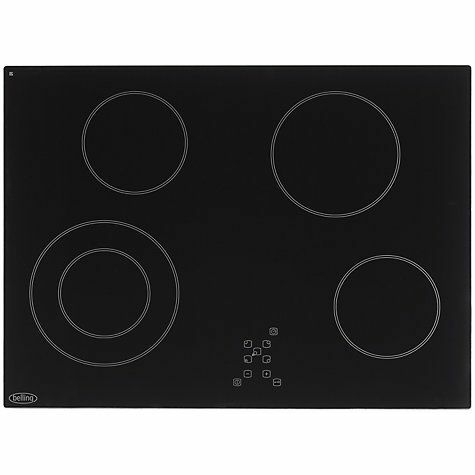 Related links to "Beling CH70TX 70cm Frameless Hob"
Customer review for "Beling CH70TX 70cm Frameless Hob"